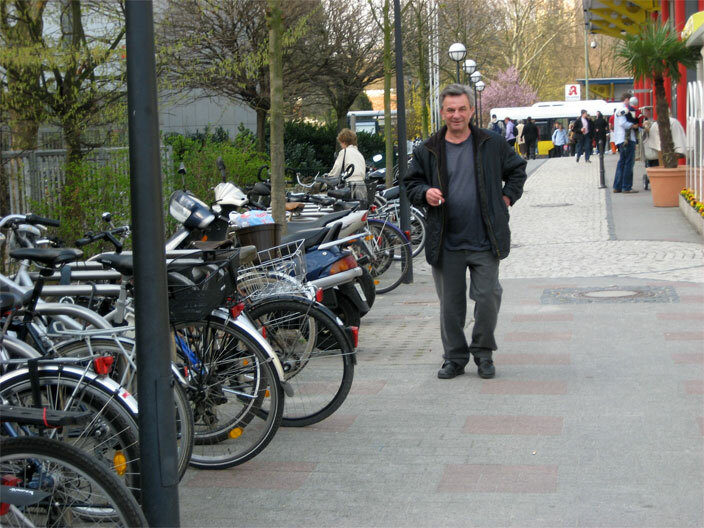 Gropiusstadt has 26,000 residents, including growing Turkish and Russian minorities. 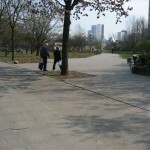 True to Gropius’ original plan, the area has many tree-lined parks, bicycle paths and walkways. The sound of birdsong predominates. I introduced “foreign” sounds (birds, monkeys, baboons, and elk) to various public locations around Gropiusstadt. All locations were near trees with singing birds. 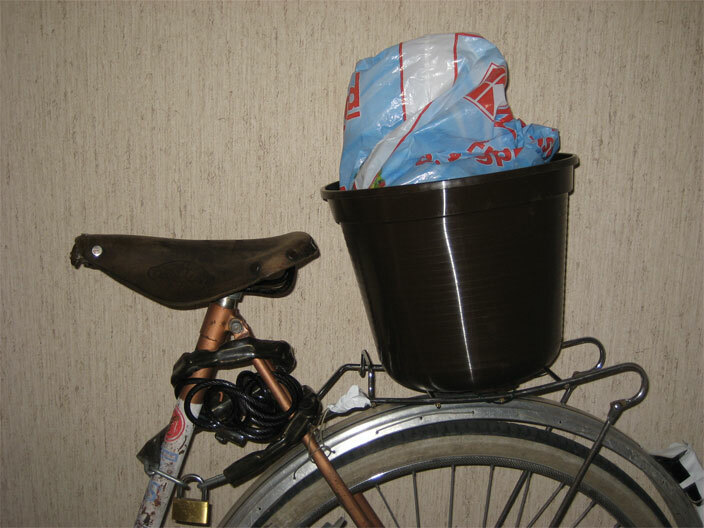 I used a bicycle to transport the sound and also to disguise its source (see photo, top left, of shopping bag in flower pot). 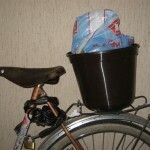 After parking the bike I would turn on the audio track and wait for people to pass by. 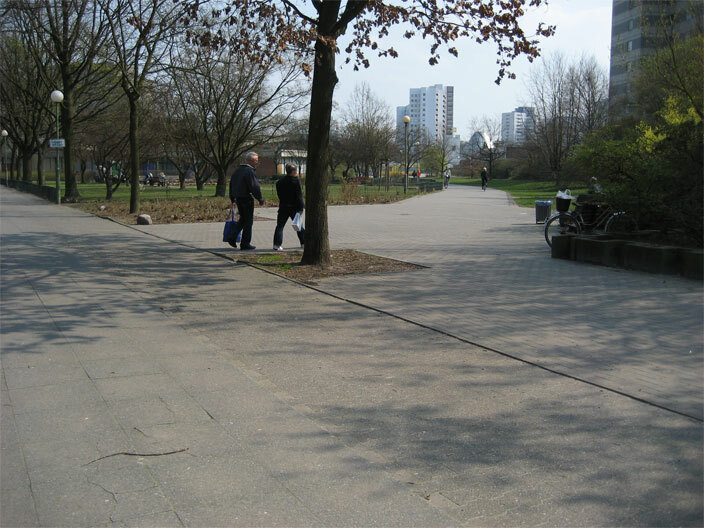 The audio played for 10-minute intervals in five locations, beginning at 1:30 on a sunny Saturday afternoon in March. The first three locations had a lot of people going by, estimated at between 50 and 75 per location during each 10-minute period. 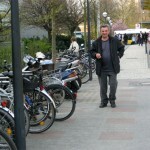 Approximately 20% were on bicycles and about 80% of those on foot were with one or more other persons. A few were using cell phones or had on earphones. The audio track was detected on two occasions. In location one a couple sat down on an adjacent bench and recognized the presence of non-native sounds. In location three, near the shopping mall, a man honed in on the sound and located its source. He and his companion seemed very amused, particularly by the sound of the elk’s mating call.